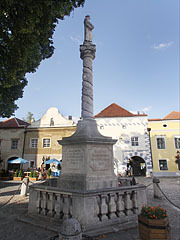 The Marian Column in the medieval main square of Kőszeg was erected by the town in 1739 with a high degree of cynicism. 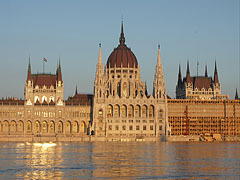 In fact, the Protestant believers protested against the Marian cult of the Roman Catholics. Despite it, or rather exactly that's why the work of the sculptor was paid from the fines collected from the Protestants.